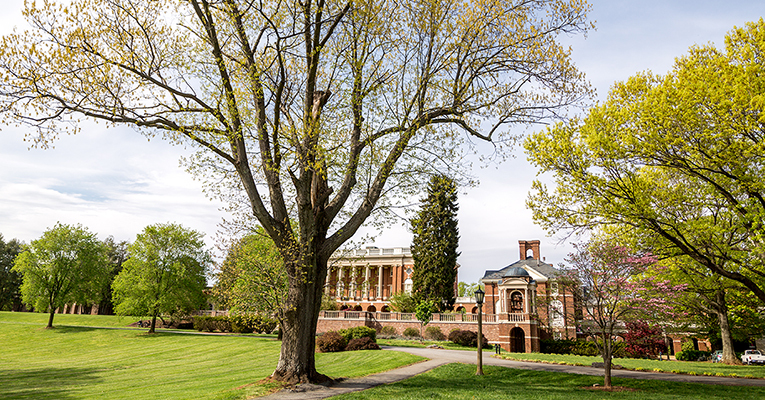 The quad — with the bell tower and Benedict Hall in the background — takes up a small portion of Sweet Briar College’s 3,250-acre campus. The Center for Innovative Technology will be at The Florence Elston Inn & Conference Center at Sweet Briar College from noon to 5 p.m. on Tuesday, Oct. 30, for a special entrepreneurship session. Featuring various speakers, a Female Investment Panel and a Pitch & Polish Workshop, the event — “Entrepreneurial Support in the Greater Lynchburg Region” — is part of a series CIT is hosting throughout Virginia this fall to “provide an overview of funding sources and programs available for Virginia-based researchers and entrepreneurs.” Other events are scheduled for Abingdon, Blacksburg, Charlottesville, Danville, Fredericksburg, Harrisonburg, Norfolk, Northern Virginia, Richmond, Roanoke, Williamsburg and Wise. The Oct. 30 session is organized in collaboration with Sweet Briar in an effort to expand ties with tech businesses and researchers in the area, and to “elevate the culture of innovation and entrepreneurship on campus and across programs,” says local organizer Raina Robeva, a professor of mathematics at the College and director of Sweet Briar’s Center for Engineering, Science and Technology in Society. The event will feature keynote addresses by Ed Albrigo, CEO and president of CIT, and Mary Miller, director of the Regional Accelerator and Mentoring Program (RAMP). An overview of funding sources to support research and development and commercialization of technology in the commonwealth is also on the agenda, as is a special panel of female investors who will offer tips and insights. Among them: Rebecca Haydock of the Charlottesville Angel Network and CIT’s Jennifer O’Daniel, who will talk about the center’s investment funding programs, including the new Virginia Founders Fund. A Sweet Briar student team will present at the Pitch & Polish Workshop before the event wraps up at 5 p.m. The session is free for Virginia-based small tech firms, higher education/university personnel, students and economic developers, and $25 for all others. Advance registration is required at www.cit.org/events. For more information, contact Robert Brooke at robert.brooke@cit.org or 703-689-3080 or Robeva at robeva@sbc.edu or 434-381-6213. Jennifer O’Daniel, investment director, CIT GAP Fund — O’Daniel will discuss CIT’s investment funding programs, including the new Virginia Founders Fund that seeks to invest in companies across Virginia, as well as invest in women-, minority- and veteran-owned tech firms. 3:30-4:30 p.m.: Pitch & Polish Workshop — Led by Alex Euler, investment director, CIT GAP Funds; What makes a good pitch, what to include, and hear a live pitch and follow-up critique!